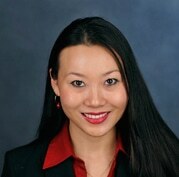 In this episode of CauseTalk Radio, Megan and Joe talk to Jessica Li, Assistant Professor of Marketing at the University of Kansas, about a new article that explores how corporate social responsibility efforts are perceived by different cultures. These efforts may not be effective for all consumers or in all countries. Why Jessica and her team decided to do this research. The team focused on two “individualistic” cultures and two “collectivistic” cultures.